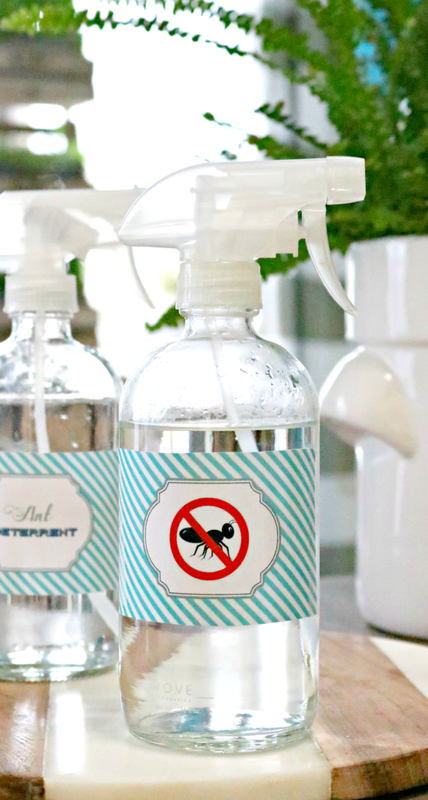 This 3 ingredient, non-toxic Peppermint Ant Deterrent Spray will keep ants out of your home safely and with a pleasant smell. 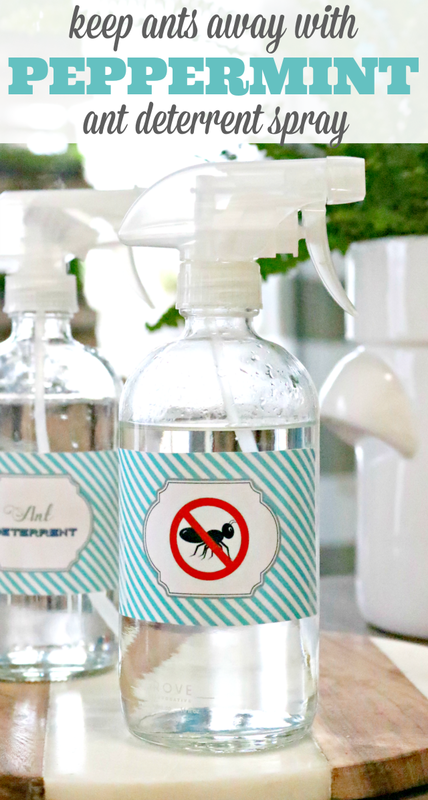 You will never have to buy store bought, chemical filled ant spray or ant killer again! It’s that time of year…spring is here, and the ants are back in full force! You leave one little crumb on the floor and all the sudden a slew of ants invited themselves in for dinner! 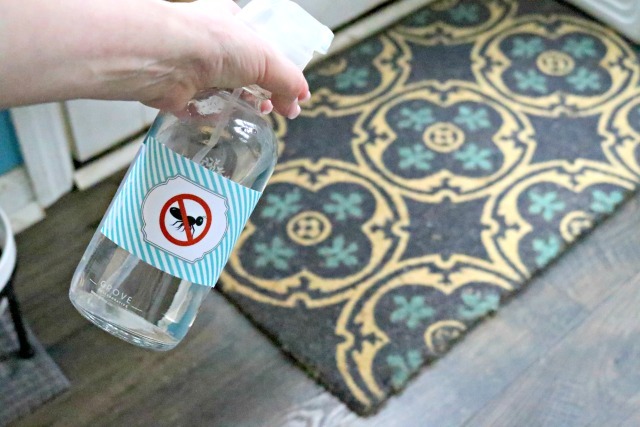 We have pets and kiddos, so I don’t want to spray a bunch of chemicals all over my home, so I make my own Homemade Peppermint Ant Spray to keep them from coming in. See, most bugs, especially ants, HATE the smell of peppermint. It doesn’t necessarily hurt them, they just stay away from it. So, I make this spray and keep it right under my sink just in case they try to come back. If you already have an ant problem, use THIS Recipe to Kill Ants. Have pet dishes that you just can’t keep the ants out of? Use THIS Easy Hack to Keep Ants Out of Pet Dishes! Step 1 – Fill your spray bottle up 3/4 of the way with water. Step 2 – Add 2 tablespoons of witch hazel to the bottle. Step 3 – Add 12 drops of Peppermint Essential Oil to the bottle. Step 4 – Place the lid on your spray bottle, and shake well before each use since to make sure the ingredients are all working together. Spray it around the insides of your doors and windows, and wherever else you think ants are getting in. I even spray a little near out cat’s feeding dishes to give them extra protection from critters. I even spray my patio area down every once in a while to keep them from invading any cookouts we may be having! The ants and other insects will stay away too…even spiders! This is perfectly safe for countertops, sinks, the inside of cabinets and wood surfaces…just don’t leave it in a pool. WARNING – Do not get this in your eyes…I am speaking from experience here. Peppermint and eyes do not mix. If you get it on your hands, be sure to wash them thoroughly before touching your face. Extra gardening tip: Have ant hills in your yard? Drop a few drops of Peppermint Essential Oil on the hill and they will hit the road! Also, make sure to label your ant deterrent spray. 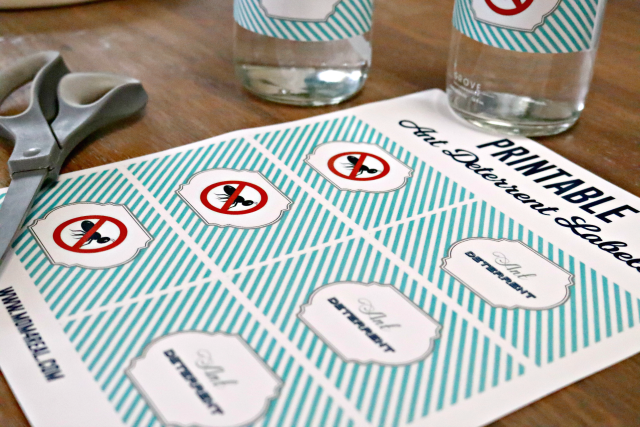 If you have other homemade cleaners or solutions, you can use THESE Free Printable Labels for them. 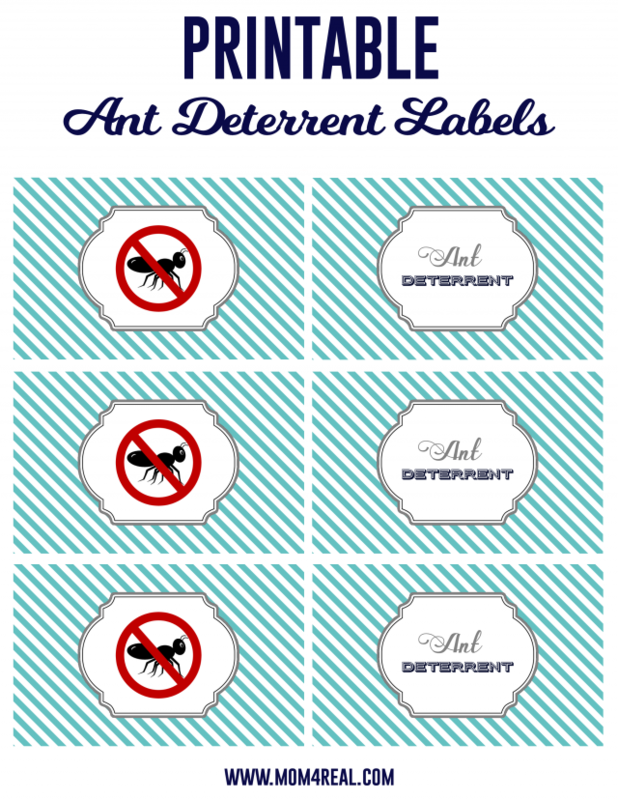 If you would like to print some labels for your Ant Deterrent Spray, you can grab the Free Printable Ant Deterrent Spray Labels above by clicking HERE! If you try to print the photo above, they will not be the correct size, so make sure you click HERE to download and print the correct size! 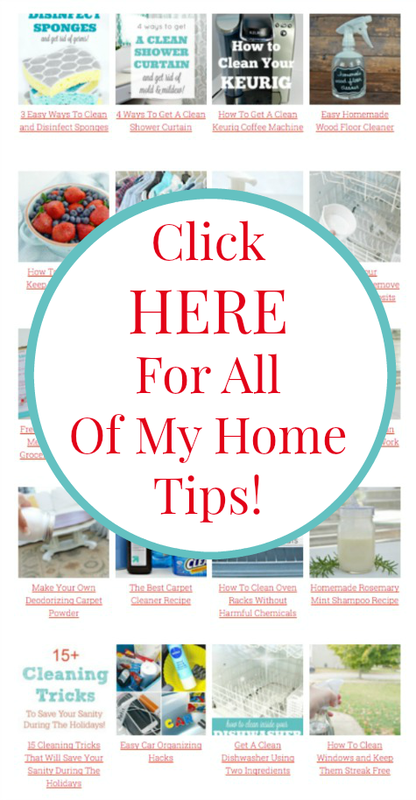 Find all of my easy cleaning tips and DIY cleaning solutions on my Home Tips Page HERE!